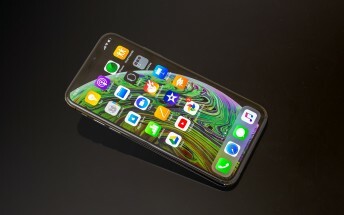 Have you been meaning to buy an iPhone XS but haven't gotten round to doing that just yet? Are you in the UK or able to order from Amazon UK? Was the 256GB version the one you had in mind? If you answered yes to all of these questions, then you're in luck. Amazon has decided to shave a cool £150 off of the usual price of the 256GB iPhone XS. Hence, you can now get one for just £999, compared to the £1,149 price you'd normally have to pay. The retailer doesn't explicitly mention it, but we strongly suspect this is a limited time offer, especially as Apple's UK website still shows the regular price. So if this deal is interesting to you, don't wait too much to do the deed - it might just vanish at some point.